Susan Trombetti has been seen on Doctor Oz, HLN, Fox, ABC, NBC, ABC, Cosmopolitan, NYPost, Washington Post, Today, and Bravo to name a few. 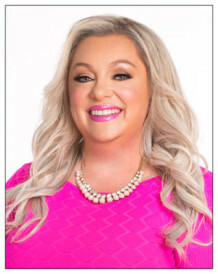 As a leading celebrity matchmaker, relationship expert, and CEO of Exclusive Matchmaking, Susan has helped discerning singles across the country discover long-term relationships and partnerships that are both rewarding and fulfilling. When it comes to all-things-love, Susan is the person to speak with. In addition to her work with clients looking for love, Susan also specializes in assisting the rich, famous, and Hollywood’s A-Listers in their romantic life. Whether it is advice on trust, letting a loved one into their personal lives or how to tell a con artist apart, Susan has a diverse range of clients and experiences in her field. In addition to Susan’s work and passion for aiding healthy and long-term relationships, Susan sponsors numerous chartiable organizations in Exclusive Matchmaking’s headquarterd area, with a focus on those that benefit children. While giving back to the community, Susan frequently rubs elbows with A-List celebrities and often ends up scouting out her next perfect match, ultimately combining her two passions in one.